PS4 exclusive Days Gone has been delayed yet again, following an initial delay announced back in February 2018. The game was expected to be releasing in February 2019, but the release date has now been pushed back a further two months into April 2019. The announcement was somewhat hidden in a PlayStation.Blog post about upcoming games. 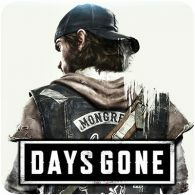 Sony has revealed that PS4 exclusive zombie apocalypse game Days Gone will be releasing in February 2019. A new trailer to mark the release date has also been released by Sony, which also introduces two new animal threats you’ll encounter in the game.